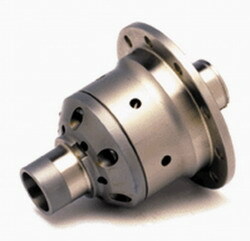 There is very high demand for this Quaife 1 series LSD, and why not? Traction like this makes these cars "An M-car killer"! BMW's 1-series is one of the most exciting new cars in years, however, like the 335's it's tremendous performance potential is intentionally limited from the factory. The real problem holding these cars back is the lack of a Limited slip differentialBMW chose not to fit any of the non M-cars after the mid 90s with a LSD. In your 1 series, you are left with a fantastic engine and chassis, but no way to put the power down. BMW chose not to fit any of the non M-cars after the mid 90s with a LSD. In your 1 series, you are left with a fantastic engine and chassis, but no way to put the power down. VAC Motorsports is offering this LSD in our upcoming 1 Series Performance Package. This Automatic Torque Biasing Limited Slip unit is manufactured by world renown Quaife of the UK, the leader in High performance LSDs. It's technology enables it to perform smoothly and predictably, sending power to the rear wheel that has the most traction. An ideal LSD for both the track or the street, without the noise or chatter of a clutch pack type LSD and without the specialized gear oil requirements.